[01.30.09] Will Rain Return to Drama After 4 Years? 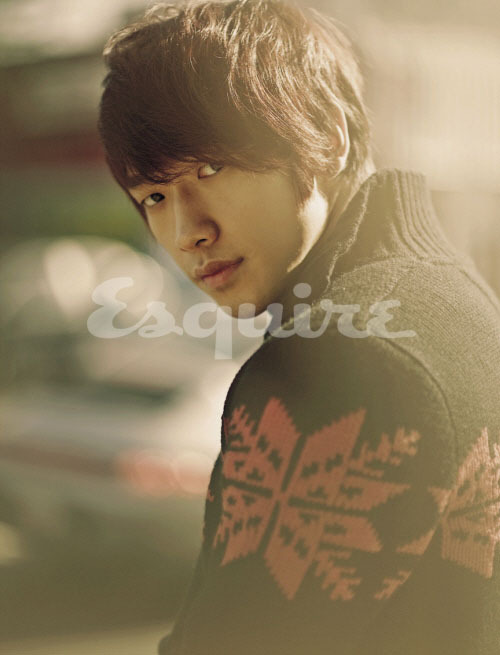 The possibility of Rain’s comeback to drama acting is growing. Perhaps even in the second half of this year. Writer Lee Kyung Hee, who worked on “A Love To Kill,” mentioned that he would work with Rain in his acting comeback last year, but it was delayed. “It’s yet to be determined,” he said. Rain will consider domestic proposals for his next drama, and review scripts carefully. This summer, his second Hollywood movie, “Ninja Assassin,” will be released. Not content with just singing and dancing on stage, Rain is now moving up a level and trying his hand at becoming a producer, probably trying to emulate his mentor/former, Park Jin Young who is doing a mighty fine job with JYP Entertainment. In the earlier part of 2009, Rain will be unveiling one of his trainees on the music scene and begin his music production activities. As promised, Rain has begun launching his Korean comeback in earnest, and November’s a busy magazine month for the star, who’s gracing not one but two fashion covers. 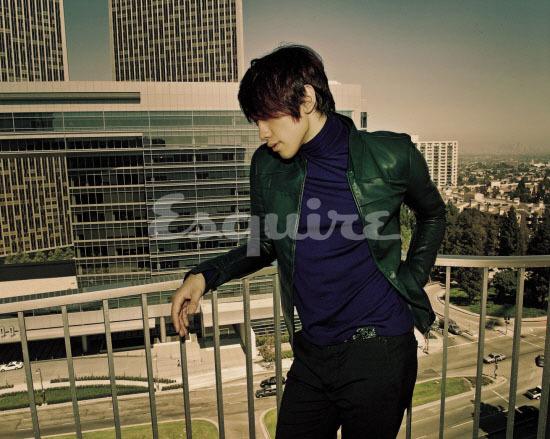 He shot spreads for the November issues of Esquire (above) and Harper’s Bazaar (below). With his fifth album — the awkwardly titled “Rainism” — just released on October 15, I foresee lots more Rain news in the making in the coming months. For his 5th album comeback, Rain (26) has been confirmed for appearances on top variety shows on the 3 major television networks in Korea. Why has Rain decide to appear on these representative variety shows all of a sudden? This serves as a sharp contrast with the past when he released his previous four albums under JYP Entertainment and rarely appeared on variety shows. 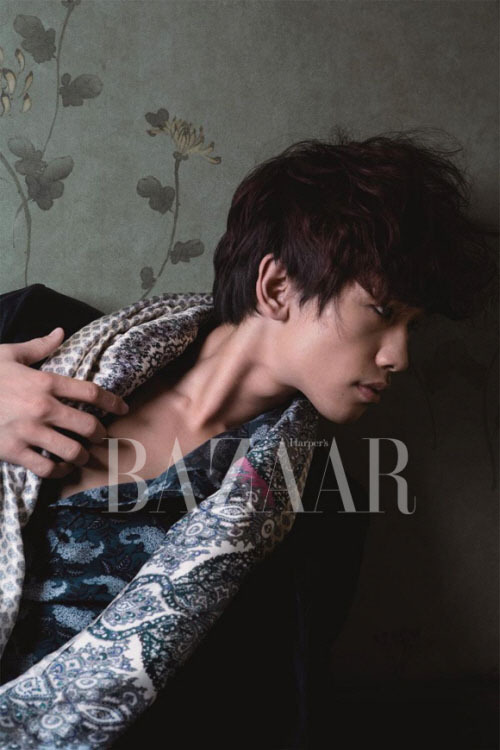 Rain had stopped promotions in Korea for the past 2 years, filtering instead between America and Germany for his movies. Although he has become a global star, the interaction between him and his fans has been minimal. In his absence, idol groups like Big Bang, Wonder Girls have stepped up, fulfiling the general public demands. This is why Rain is seeking to actively participate on variety shows upon his return and with his album release incoming. Actress Kim Sun Ah was at Rain’s showcase “Me, Rain, Dance” last night, performing the tango version of Rain’s song “Bad Guy”, executing it perfectly. Kim Sun Ah had gone through intensive training for the past 2 weeks and managed to remember all the tango moves within 3 days, showing the charisma of a professional actress. To thank Sun Ah for her support at his comeback showcase, Rain prepared a birthday party for her. Rain made a surprise visit on 1st October at the dance studio and had a impromptu birthday party for Kim Sun Ah together with all the staff. Rain also gave her a birthday present. Kim Sun Ah and Rain’s fantasy tango will be shown through MBC on 17th October through the broadcast of his “Me, Rain, Dance” showcase. J. Tune Entertainment has released the album jacket pictures for Rain’s upcoming 5th Album “Rainism” plus his comeback schedule today. They revealed that MBC will be broadcasting a special called “Myself, Rain, Dance” on the 17th which will kickstart his album promotions. That special program will be showing footage from a closed-door showcase for 1000 lucky fans that will be recorded on the 9th at MBC Dream Center. But before all that happens, MBC will first air a special documentary about Rain called “Rain’s Coming” this week which will be focusing on his personal life, etc. This also means that MBC is breaking from norm for Rain’s comeback by broadcasting two special programs for Rain in consecutive weeks. Rain’s 2nd “Love Story” teaser will be released on 8th October. Rain has finally revealed something from his upcoming 5th album expected to be released in October after an absence of 2 years since his last. After all the hair mess that Rain has had in the past months, he has finally come good with his latest hairdo. Ha Ji Won looks as stunning as ever, A-lister indeed! According to J. Tune Entertainment, “The teaser video and related media for his 5th album titled ‘Love Story’ will be released through Mnet.com on 2nd October (tomorrow).” So we get a sneak peek of Rain and Ha Ji Won looking at each other one day before the teaser release in different frames. The music video between Rain and Ha Ji Won was shot at Apgujeong’s Rodeo Drive and an unidentified club in Kangnam, Seoul. The sudden appearance of the two caused a big commotion and attracted a sizeable crowd. The plot of the mv is about a bad man’s love story with Ha Ji Won playing his love interest. “Rain has worked really hard during this period to show his new album concept through this mv which will be like a mini movie in itself. We have prepared for this for quite a long time,” explained J. Tune Entertainment.